Here at Jarlyn Devons we have been successfully breeding Devon Rex cats for twelve years. Our family home is situated on Queenslands beautiful Sunshine Coast. Our pets are very much a part of our family and they are our life. Our kittens are raised in our home and interact with our family every day. We have 6 children. Two are living at home and all take part in the upkeep of the cats and are always willing to care for a kitten needing extra love and attention. 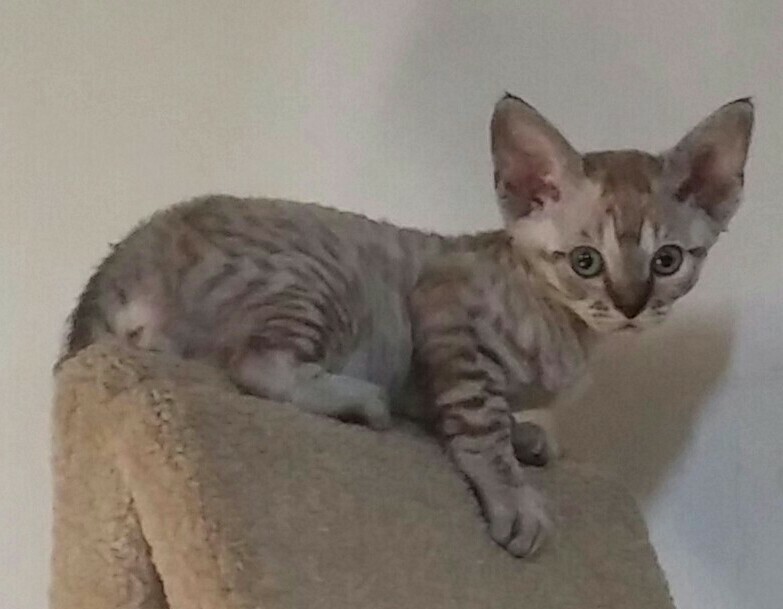 :KITTENS AVAILABLE NOW :We have many different coloured kittens including Seal Point, Bi Coloured, Tortoise Shell, Choc and Silver Tabby in spotted or striped, Black Smoke, chocolate. Some of these colours will take time as I only allow my girls to have a maximum two litters per year. I have 16 years experience as a Veterinary Nurse. I work part-time in a veterinary practice who consistently strive to exceed the expectations of our clients and pets. I have an ongoing commitment to the health of my pets. It never ceases to amaze me how Devon Rex Cats can integrate into any lifestyle. They will readily adopt any species. Dogs, birds and other cat breeds. If introduced carefully they make even the oldest family pet love them unconditionally. Please look at my adopted kittens page. We are registered breeders with Feline Control Council of Queensland and have full Pedigrees for all our breeding cats. Check out our adopted kittens page. For colours and types. All grown up. My favourite photos. Some of our babies in their new homes. Click on any photo and you can use the picture viewer as a slide show. Kittens will be sent interstate. This will take negotiation. I will send at my discretion. If I deem the distance and time of travelling is too much for one of my cats or kittens I will not send. I have put my heart and soul into these kittens and want the best for their health and emotional stability. Thank you to Jax's owner for these beautiful photos. Jax has brought so much love and joy into his families home. 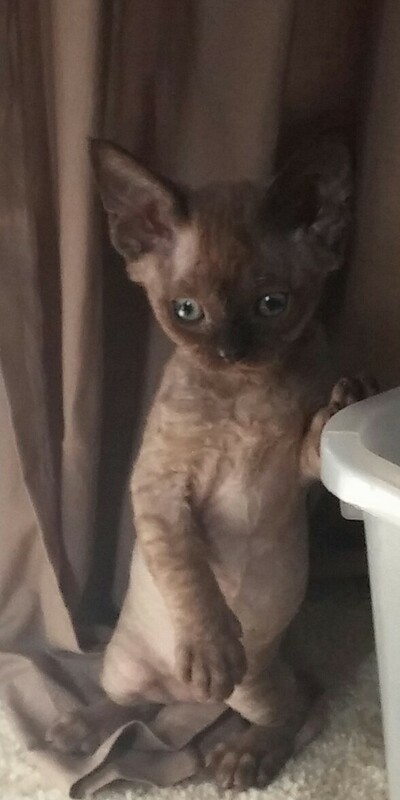 This picture of Pixie shows how adaptable devon rex are. 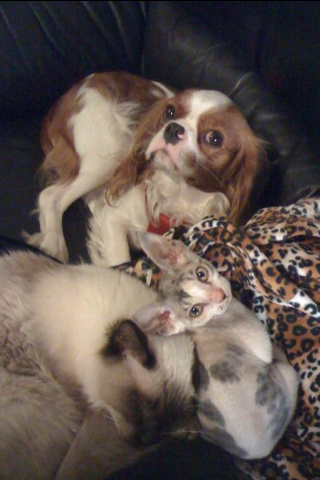 Introduced to a family with a Cavalier King Charles and a Ragdoll cat already in their family. Renamed "Beatrix" made three. The photo below is a family with two Bichon Friese who adopted their little brother Baroque willingly. Every creature great and small love Devons.